Bright & Beautiful! A very unique gift. 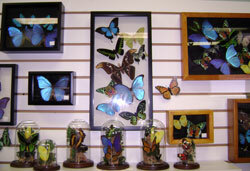 Frames and domes are special-order items only. Please call Magic Wings for availability. *** Please allow for design variations. We're sorry, large and small globes are currently discontinued. We'll let you know if that changes.